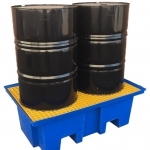 The Bunded Spill Pallet is designed to contain any drum spill or overflow. 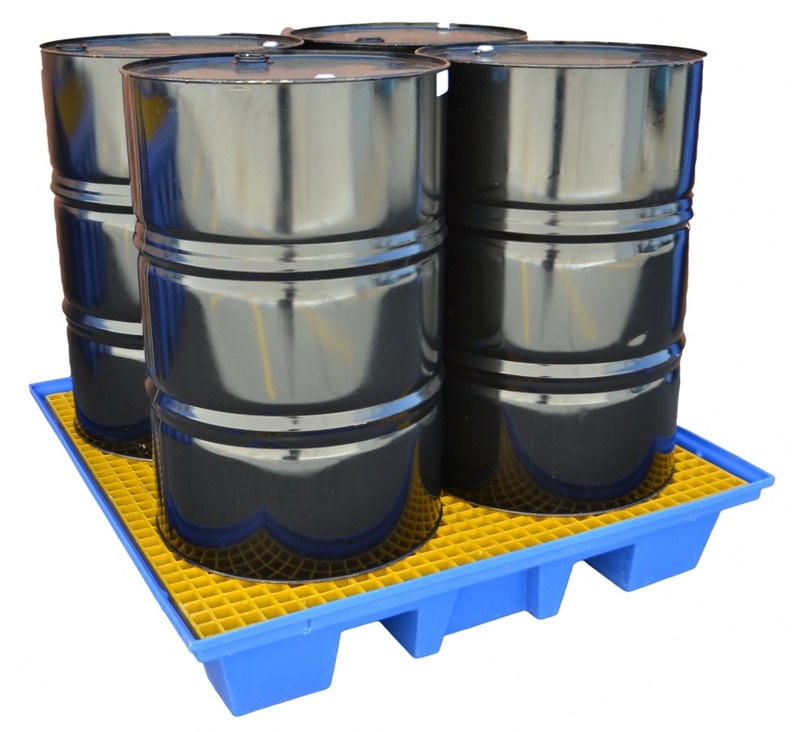 Made from Polyethylene, the Bunded Spill Pallet has a raised edges, and a non-slip grate. 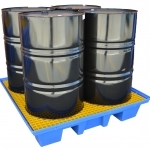 Bunds are necessary for storage areas where chemicals, hazardous substances, flammable or toxic liquids are held. Having drums stored on bunding not only complies with Australian Standards but also protects workers from exposure to hazardous material. 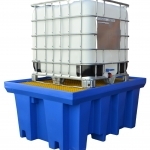 For safe and compliant storage of drums & 1,000lt IBC’s containing liquids. Strength due to Polyethylene construction. 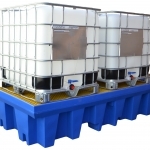 4 sizes for either 200lt drums or 1,000lt IBC’s.